We learned this concept from Dulcimer Friend Terry Parker. When faced with a new piece of music, you may not be able to sight read and play the thing perfectly. Heck, you may not be able to play any of it at all. That's ok. Become a Dulcimer Commando. Look at the music and see if you can tell where it's going. When the group gets to that spot, you jump in and play that one note or chord. Allow yourself a moment of deep satifaction and then see if you can ambush another note somewhere else in the piece. In time you'll ambush more and more notes, then measures, then lines of the piece. If "Going Commando" has another meaning to you, please hang onto your kilt when the wind is blowing . . .
What exactly happens at an Old Growth night? When we gather, we spend a few minutes setting up. We warm up with two or three simple songs and then we dig into more challenging pieces. There is often a chance to pick up new sheet music and there may be a special lesson incorporated into the playing time. We play for an hour to about ninety minutes. Players are welcome to linger with others to discuss or play more advanced pieces. See the home page for the latest schedule. Do I need a mountain dulcimer to visit? No. Visitors are always welcome. We don't have loaner instruments but do use the contact form on this website to signal your interest in learning more. 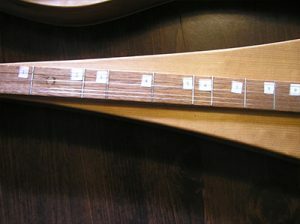 It's possible to connect you with an experienced player so you can understand how the instrument is played and what your options are should you decide to shop for a mountain dulcimer (Please, please be careful about buying an instrument off ebay or craigslist. There are some beauties out there and some sad things that really should be doorstops. Let us help you find a happy choice). Here’s where we’ll put in your good advice. Tip #1: Many people use a piece of rubberized shelf liner on their knees to keep the dulcimer from sliding around. Tip #2: Don’t store the shelf liner piece next to the instrument. 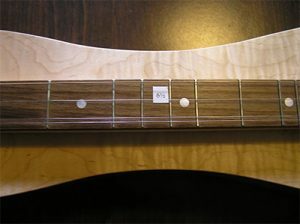 Chemicals in the liner can affect the finish on the instrument’s wood.